If we don't have your size, call us for availability! 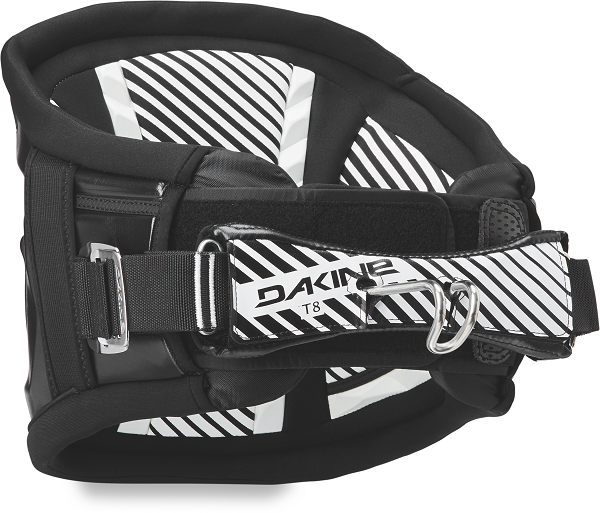 Get out on your board with this new DaKine T8 waist harness! With roots from the original T-Series, the new T8 features an Adaptive Fit Composite back panel to increase the stiffness and responsive feel while windsurfing. 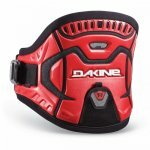 The Texon composite material combines with the featherweight ES foam molded interior and memory foam pressure point relief zones to give you all the same comfort of the DaKine T7 harness with an added edge for better performance. The T8 also features a freedom shape spreader bar pad for comfort, independent primary and secondary power belt for a snug fit, and sliding harness bar that moves with you on the water.